HyperZoom is a different form of zooming into or out-of a shot with virtually no restrictions to the range of the zoom. It enables the camera to zoom to a new location—and actually be there to move forward to ever new locations. It’s a travel by zoom effect with no loss of visual continuity or resolution along the route. The effect makes it look like you're flying around the sites in one continuous journey, passing through buildings and emerging in a different location. The footage was shot over a two day period but post-production took longer—applying a little artistic license to the geometry of the town to seamlessly link the locations. 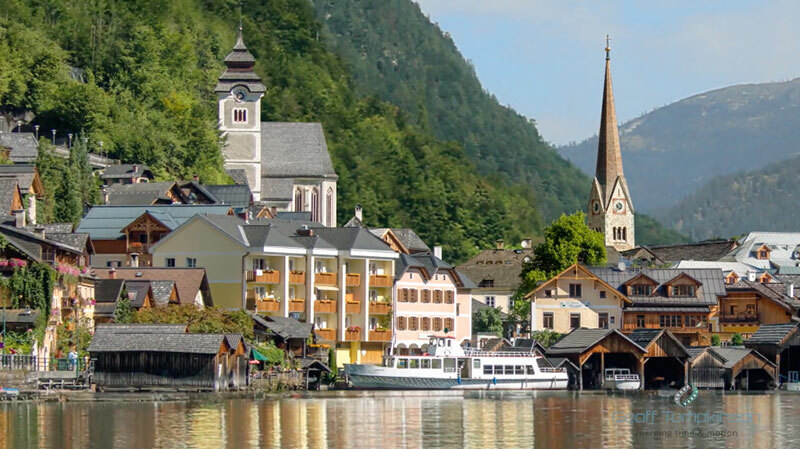 A time-lapse of the beautiful town of Hallstatt, Austria by photographer Geoff Tompkinson using a new technique he's been working on called HyperZoom.